Disrupt the Status Quo, INS Eco-System Takes on the Grocery Supply Chain.steemCreated with Sketch. Retail Grocery Stores Soon to be a Fading Memory Thanks to the Blockchain. Once again the team at Aenigma Capital brings you an evaluation of an ICO and its financial possibilities. 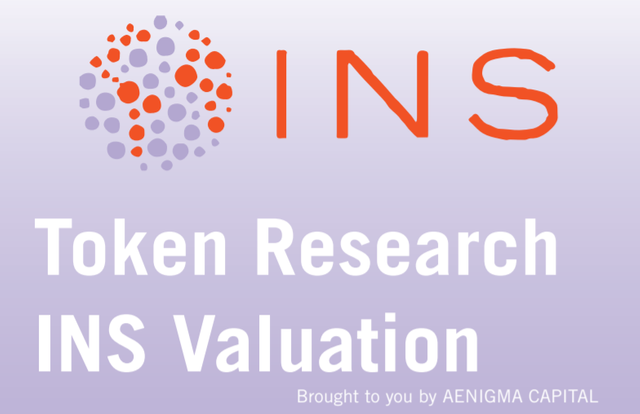 This time it is called, "Token Research: INS Ecosystem Valuation". As you know INS Ecosystem is an ICO that I believe could be huge. I have always been a fan of projects the up end the current way of doing things. The brick and mortar grocery stores are a great target just like Uber went after taxi's and AirBNB took a piece of the hotel business. We already have companies popping up taking small chunks out of the legacy grocery chains. It could be many years until grocery stores as we know it no longer exist but mark my words, "they will lose market share". Personally I have put a small stack of Ethereum into the ICO for INS Ecosystem. If after reading the, "Token Research INS Evaluation by Aenigma Capital" you think it has potential then why not put a small amount into the ICO? 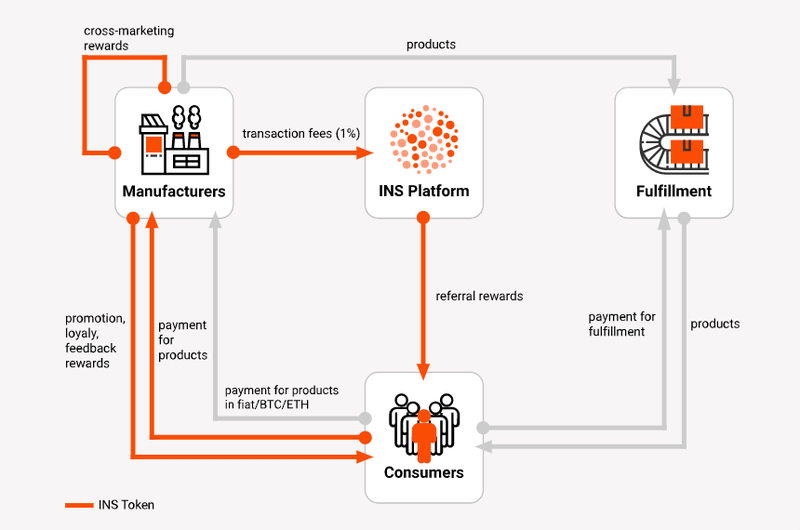 Here is How The INS Eco-System Will Work. See My Original Post About INS to Follow Their Social Media Channels. Nice project @hilarski, introduce "INS Echo System" it really take the place of grocery store and become grocery chain. and no longer grocery stores exist. Very informative and helpful article you written. Thanks for sharing. Extraordinary good article with lots of information about INS ICO system. Good ICO news. i visited the website ins.world.. really nice project.. they are going to bring a change in the online buying of groceries in cheaper rate. Exceptional article about upcoming INS Project ICO based on Grocery Inventory System. It has a huge potential to be top class project. Excellent update about it...!!! You are correct. INS is about to take the whole world grocery systems into one shelter. Innovative project & nice information about the ICO of it. Well I am right now playing with forex, Invest a little amount of 20$ lets see. If it is profitable then surely going to invest more. @jrcornel has already made more extensive review of INS ICO so i will just copy my comment. There is great introduction to hyperledger course on edx.org platform. 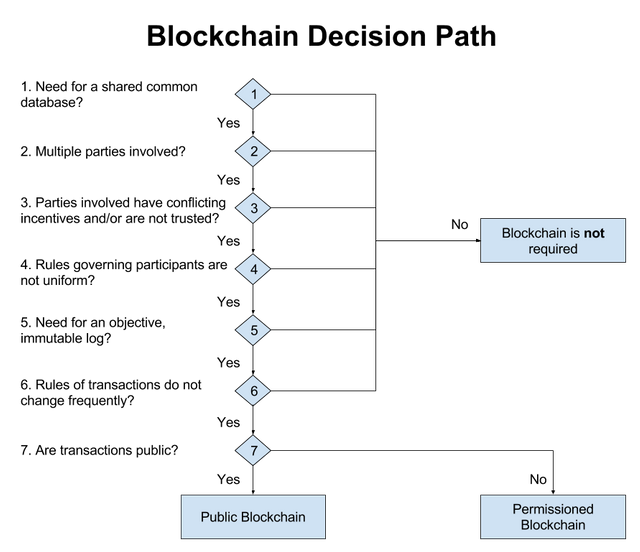 In one of the chapters we can find this image - when to use or not to use blockchain technologies decision path. so as we can see grocery does not need and does not suit to the blockchain. I agree, the team is top notch and they are going after a huge market. I personally bought a good amount in this one. Excellent information, the INS eco-system ICO looks quite promising, i should do some more research on it soon, thanks for telling us about this ICO. I think now I am also crazy about this INS project! Hope to be there! Great update friend! This is revolutionary model to change the traditional Grocery Supply Chain, exiting times ahead. Yes, indeed, in the end, the shops will fail. thats pretty good information and enrich steem. good article with lots of information about INS ICO system. 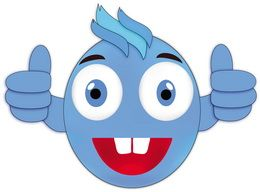 Good ICO news i like it. thanks for sharing ok..
Well if you put a small stack of Ethereum into the ICO for INS Ecosystem, then just stick to it ;thanks for sharing.. These are very useful information for real people. I wonder if they will help me with my Algos mini-marts.. This seems a extraordinary project.i have read all about it and this is going to be a great project. I visited the site really nice project .. they are going to bring a change in the online purchase of groceries at a very suitable price. This seams a ICO with some potencial!!! It does sounds nice and to look at that probably invest a little and stick with it till you get it out of your stock . Many are doing this and getting a huge lumpsum ! this is really going to be interesting !! Thanks for the great innovation and execution of grocery in INS ecosystem. You are so powerful and genius, your work always brings good results to the people. Thanks my friend for your great effort. Stay blessed and healthy. After your posts, even i'm following this ICO. This would be my first ICO, if I buy on day 1. Hello hilarski.. excellent article .. on INS eco system .. it's a very innovative project ..thanks for sharing..